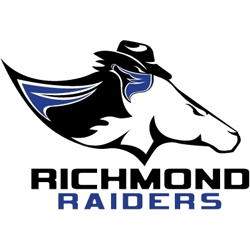 The Richmond Raiders professional indoor football team will hold open tryouts for the 2013 season on Saturday, Oct. 20th at the Richmond Coliseum. Registration begins at 2:30 p.m. and ends promptly at 3 p.m. Players should be prepared to participate in a variety of drills including short shuttle, timed 40 yards for skill positions, timed 20 yards for offensive and defensive linemen, and one on one drills. The cost to try out is $50 per person in advance online and $55 the day of camp. No checks will be accepted. Tryouts will be led by Raiders Head Coach James Fuller. Coach Fuller led the Raiders to a 10-2 record and an appearance in the PIFL Championship Game in 2012. For more information and to register, prospective players should visit Tryout Registration at www.richmondraidersprofootball.com. Participants must be 18 years of age and able to provide proof of birth date. This is a professional tryout and participants will no longer be eligible to participate in NCAA sanctioned football should they participate in testing. The tryouts will be open to the public. The Coliseum Club will be open before and during tryouts, and Raider coaches and ownership will host a question and answer session there at 2:00. Season tickets and Raider merchandise will be on sale, and ticket holders will be able to choose their seats.